I’ve been using Gleevec since Feb. 2002. When I went on it I researched both the drug and Novartis. 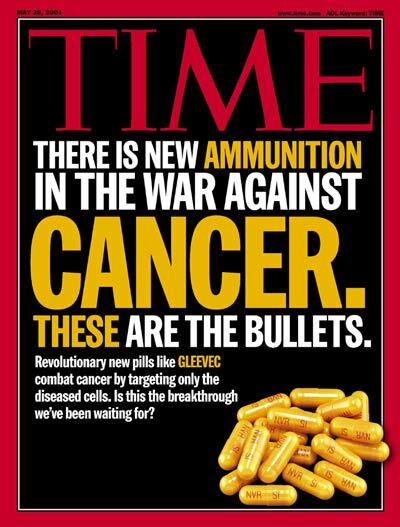 Novartis got major help to motivate it to manufacture Gleevec by governments in the US and in Britain. It got orphan drug status in the US, which subsidized or reduces taxes for Gleevec. It got special incentives to build its factory in Northern Island, which reduced costs and taxes for Novartis. It has very vigorously pressured governments and companies on the issues of manufacturing or reducing the price of imatinib and as noted, it has been raising the price dramatically despite the wider use of Gleevec for other treatments and the fact noted that development costs have long since been returned through sales. It’s also aggressively trying to forestall the production of a generic for Gleevec while also trying to become the manufacturer of such a generic.